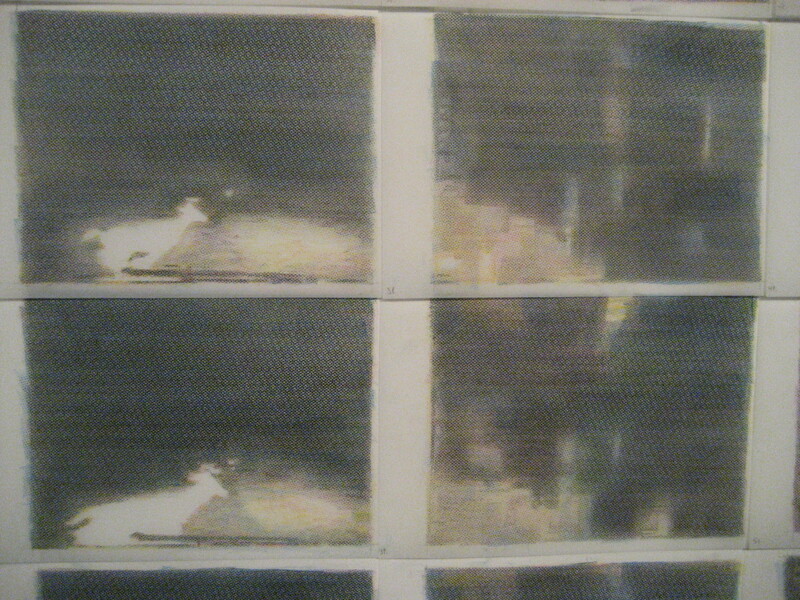 Stephan Andrews exhibit lined one wall in its entire longer with hand drawn film stills the other projected a short animated film. 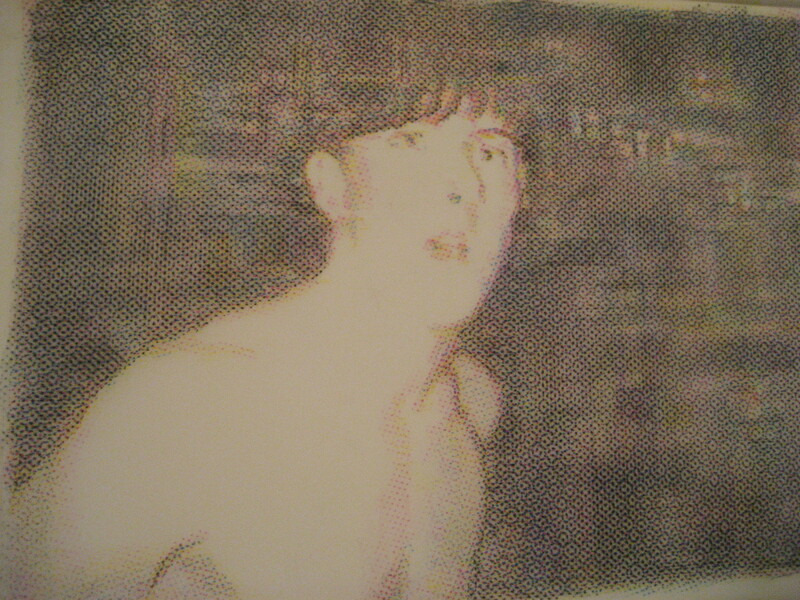 Using crayon drawings on mylar he creates stills relating to media and internet. 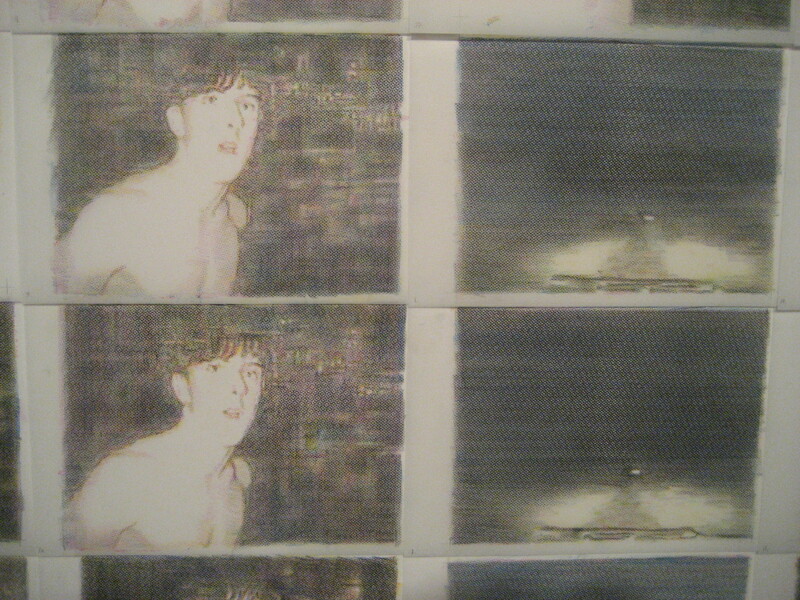 One wall cover in still frames, starting off dark and obscured, mounting into a rolling hill cut by a dark path, a deer , headlights, and a bumper. 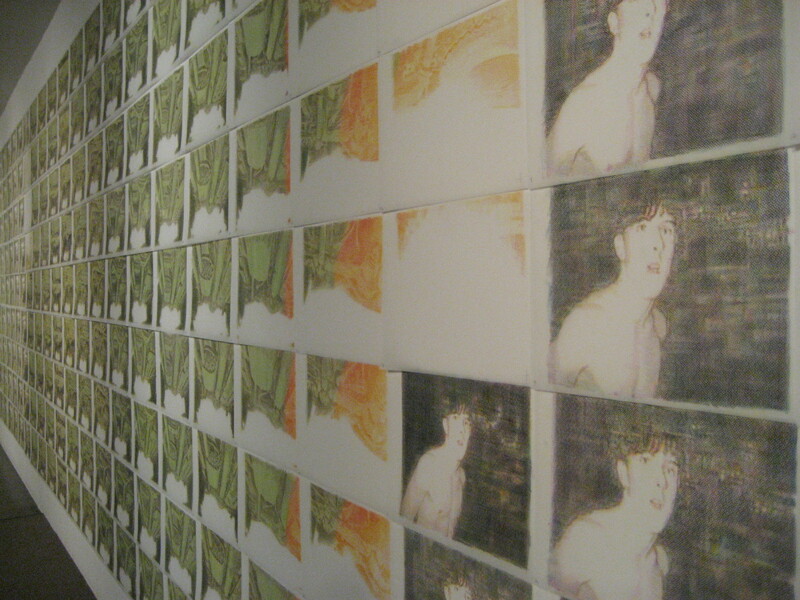 On the facing wall, a 45second annimated film the accumulation of all the stills. 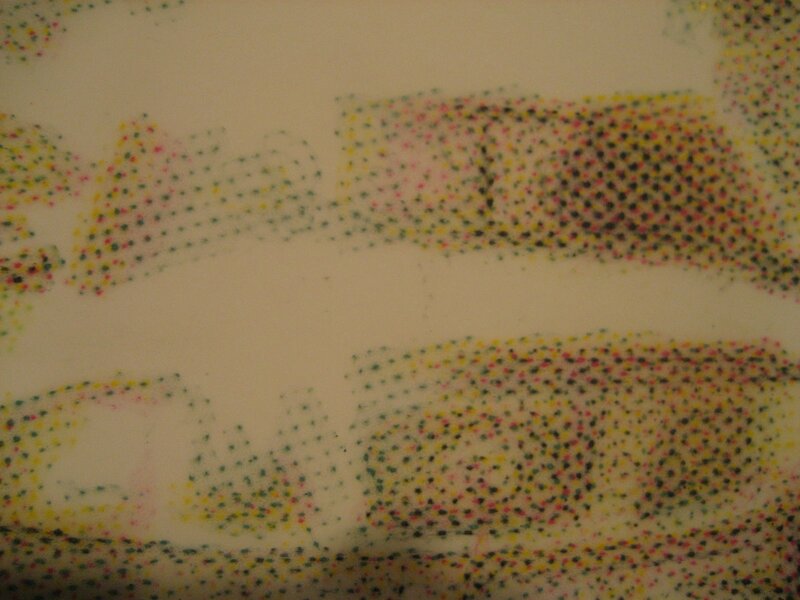 The grain technique of the crayon on mylar and the precision in drawing is exceptional, giving a quality of dot matrix found in print media from a time long ago. The film is short but impactful. 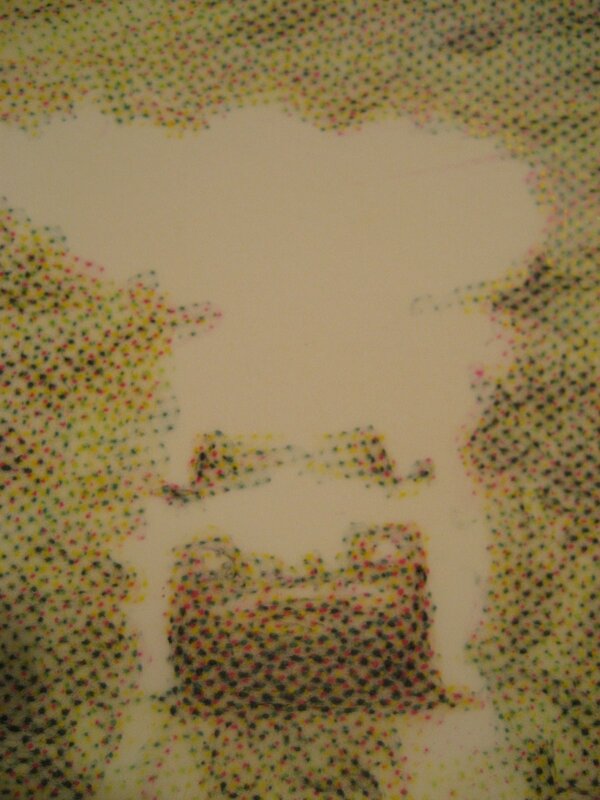 Andrews negotiates issues of violence in animation and media, and the hit and run of the deer a subliminal commentary on the Middle East oil infrustructure.